The road from a research lab curiosity to a commercial process is a difficult one. It requires not only great technology and intellectual property (IP), but also, a market, a great multi-disciplinary team that can work together effectively and is driven, money, and a lot of perseverance. For the case of a large company with deep pockets and an entrenched business it is almost impossible to start a radically new product line because of the immense market threshold required (that is, for a large company having $25B/yr in revenue, the new product must typically have a potential market of maybe $500M/yr, minimum). Product line extensions are much easier (less risky, less time to market â€“ hence, less $ required). For the case of a startup, those engaged need to be comfortable starting with almost nothing, bootstrapping, and willing to spend a lot of time searching for funds, partners and customers. For high-temperature solarthermal chemical processing, the best path forward is to mitigate issues associated with continuous processing. Hence, there is a need to design and demonstrate hybrid chemical reactors and processes which provide for the use of concentrated sunlight with off-sun electricity or natural gas combustion. This talk will review the path taken from a laboratory curiosity to a successful commercial process for the rapid carbothermal reduction process and will then focus on the path forward for solarthermal chemical processing. Alan W. Weimer, H. T. Sears Memorial Professor of Chemical and Biological Engineering, joined the faculty of the University of Colorado in 1996 after a 16-year career with the Dow Chemical Company. He was named recipient of the Dow Spangenberg Ceramics Founders Award in 1991, Dow Research Inventor of the Year in 1993, and received Dowâ€™s coveted â€œExcellence in Science Awardâ€� in 1995 for commercializing high-temperature processing to produce advanced materials. He is recipient of the 2005 DOE Hydrogen Program R&D Award for developing solar-thermal technology to split water, the 2009 AIChE Thomas Baron Award in Fluid-Particle Systems for his pioneering effort to functionalize fine particles with thin films, and the 2010 AIChE Excellence in Process Development Research Award for his persistence to commercialize his academic discoveries. He recently received both the 2015 AIChE Nanoscale Science and Engineering Forum and the 2015 Research Excellence in Sustainable Engineering Awards. His former students have co-founded two spin-off companies out of his university laboratory (ALD NanoSolutions in 2001 and Copernican Energy, now Sundrop Fuels, in 2006). 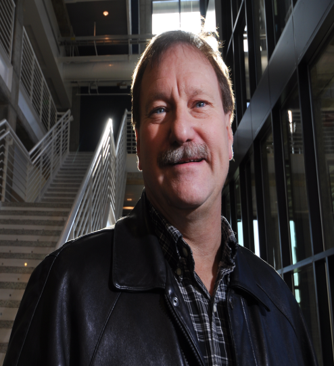 He is an inventor on 32 issued U.S. patents and an author of 175 peer-reviewed publications. He teaches the capstone design sequence in chemical engineering at CU, but, also has a research team of 20. He anticipates potentially two additional startups out of his university lab over the next 5 years based on projects currently supported by the Advanced Research Projects Agency â€“ Energy (ARPA-E). Al received his B.S. in chemical engineering from the University of Cincinnati in 1976 and his Ph.D. in chemical engineering from the University of Colorado in 1980.